Maui is the second largest island in the Hawaiian island chain. Maui has a population of 150,000 residents, but at any one time there are as many as 300,000 people on the island of Maui. Maui has been awarded the best island in world by the Traveler Magazine poll for 19 years in a row. Maui is a veritable paradise with top hotels, an abundance of activities, natural beauty and fantastic weather. Maui is the number one honeymoon destination in the United States, so, since Maui is such a great place to honeymoon, then why not be married there also? That is where we come in. Hawaiian Island Weddings takes nuptial coordination to new heights. We have 30 different wedding packages to choose from, catering to all tastes and wedding fantasies. All you have to do is show up and say those magic words..."I do". Now the most popular way to say "I do" is on the beach at sunset. 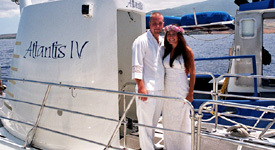 If you are making your own travel arrangements, choose our Molokini Sunset Wedding. 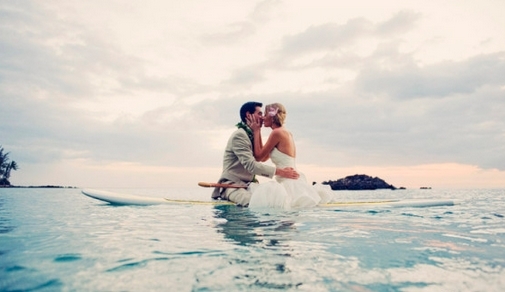 This Maui wedding includes everything you need and nothing that you don't. Coordination, licensing, officiate, flower leis, and professional photography is all included. You may also add any additional items or services you wish to make your wedding day even more memorable. Consider adding a bridal bouquet, having a personal hair stylist and make-up artist come to your hotel room, arrive in style with professional limousine services, relive your memories over and over my having your wedding professionally videotaped, add a delicious wedding cake from our award winning baker, almost anything that you can think of can be added to your wedding. 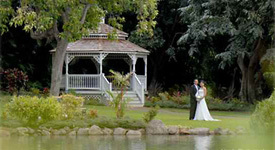 For years now, Hawaiian Island Weddings has specialized in wedding and honeymoon packages. 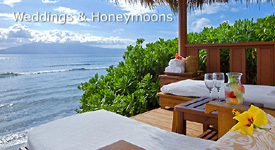 In Maui, we have six wedding and honeymoon packages to choose from. With accommodations at ocean front condominiums, luxurious top hotels, and even multi-million dollar private villas, we know that we have a wedding & honeymoon package to meet your needs and fit with your budget. 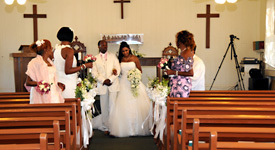 Please give us a call if you are not sure which wedding and honeymoon package is right for you. 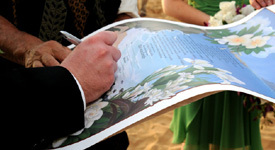 All of our wedding and honeymoon packages include our most popular beach wedding. See our Maui Wedding & Honeymoon, Ocean View Wailea Wedding & Honeymoon, Ocean Front Kaanapali Wedding & Honeymoon, Palace Wedding & Honeymoon, Alii Wedding & Honeymoon and Gold Coast Luxury Wedding & Honeymoon packages. When you book your accommodations with us, we take care of all the details and send all your travel vouchers a few weeks before you arrive. 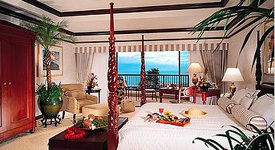 Besides making your Maui wedding stress-free, your accommodations and rental car are all taken care of also. And, when you arrive, if you have any questions or problems, we are here in Hawaii to solve any problems and get you all checked in to your hotel or condominium, even if you arrive late or on a weekend.